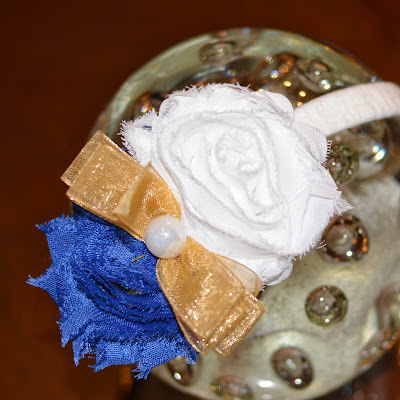 Petite shabby flower on a soft elastic headband. Available for preemie, newborn, infant, toddler, child and adult sizes. 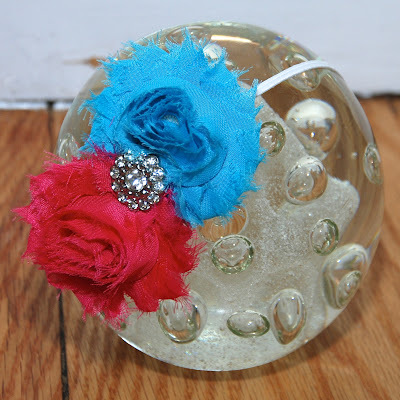 Perfect for baby shower and newborn gift! Photo Props! Shown in Tulip Pink. Available in tulip, white, grey, navy, red, black. 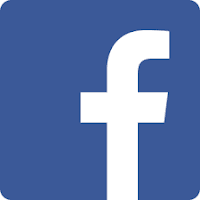 If you need a specific color not available as an option let us know and we can accommodate you! 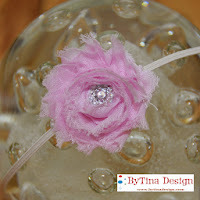 Petite shabby flower with rhinestone center on a soft elastic headband. Available for preemie, newborn, infant, toddler, child and adult sizes. 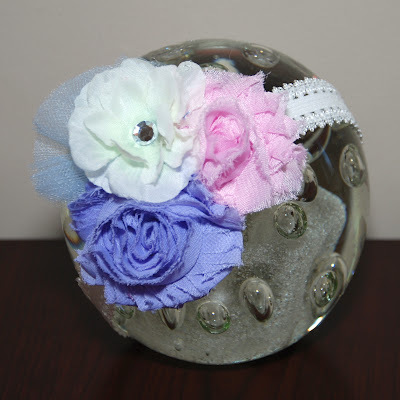 Perfect for baby shower and newborn gift! Photo Props! Shown in White. Headband choices are Satin Elastic Hardband, Ultra Thin Stretchy Headband, crochet headband, lace headband, satin elastic band, etc. 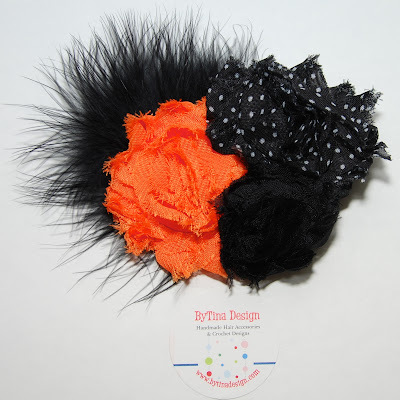 Can be attached to headband or interchangeable (specify at checkout). Ivory Shabby Flower Headband with vintage embellishment on Ivory Elastic Headband. Also available without headband. Lavender Shabby Flower Headband with vintage embellishment on Lavender Elastic Headband. Also available without headband. 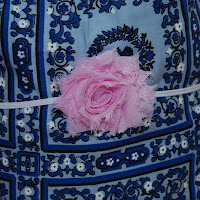 Shabby Flower Headband with vintage embellishment on Elastic Headband. Also available without headband. 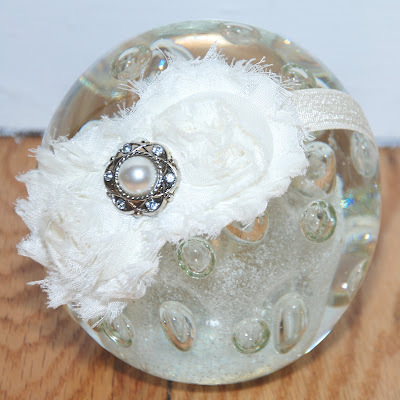 Shabby Flower Headband with vintage embellishment on White Ultra thin Elastic Headband. Also available without headband. Wear Clip alone or attach it to an interchangeable headband or Beanie! GREAT FOR PHOTO PROPS! Triple Shabby Flower Headband in Light Pink, Purple and White with vintage embellishment on Skinny White Elastic Headband. Also available without headband. 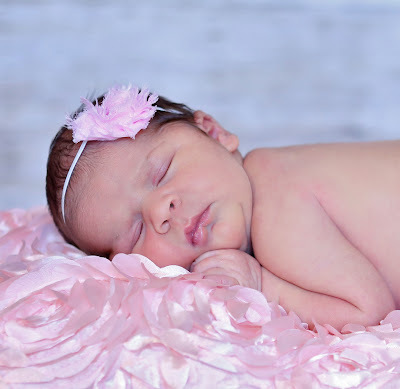 Triple Shabby Flower Headband in Cream, Pink and Grey with pearl-like embellishment on Lace Headband. Also available without headband. Triple Shabby Flower Headband in Toffee, Navy and White with pearl-like embellishment on Lace Headband. Also available without headband. 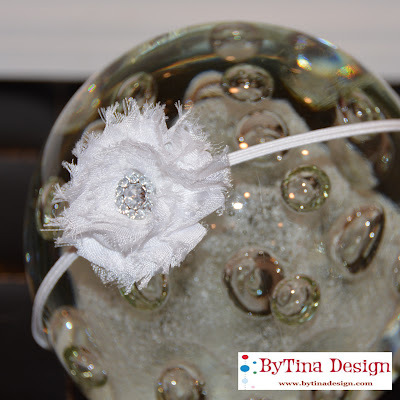 Very Classic Shabby and Chic Frayed Fabric Flowers and Rosette with white marabou and vintage festive button on headband. Frayed fabric flower approx. 2 1/2 inches and 1inch. Would make a beautiful photography prop for Holiday Cards! 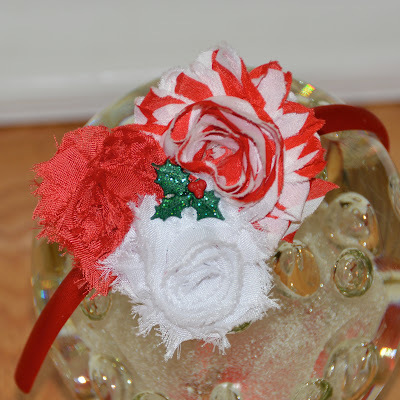 Very Classic Shabby and Chic Frayed Fabric Flowers and Rosette and vintage festive button on headband. Frayed fabric flower approx. 1 inch. 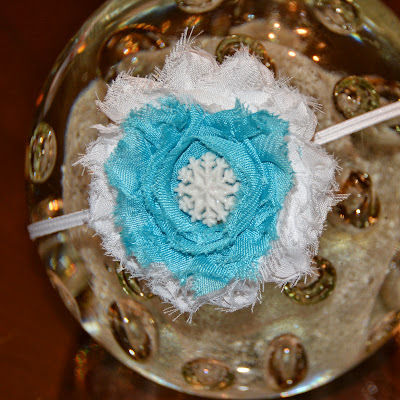 Very Classic Shabby and Chic Frayed Fabric Flowers combination of white and bright blue (turquoise) with snowflake resin on headband. Frayed fabric flower approx. 2 1/2 inch. Classy Vintage/ Shabby - Chic Hair Accessory with white and turquoise shabbies with white feathers and lace on choice of clip or attached on white lace headband. Would make a beautiful photography prop. Indicate at checkout to change headband otherwise headband choice will default as pictured: Headband choices are Satin Elastic Hardband, Ultra Thin Stretchy Headband, Crochet headband, Lace headband or Satin elastic band. Can be attached to headband or interchangeable. View Headband Choices. If choosing satin elastic band please enter size needed at check out. See sizing chart. 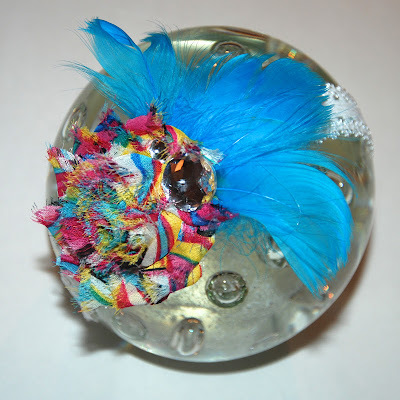 Very Classic Shabby and Chic Frayed Fabric Flowers with black feathers. Frayed fabric flower approx. 2 1/2 inches and 1 inch. Would make a beautiful photography prop. 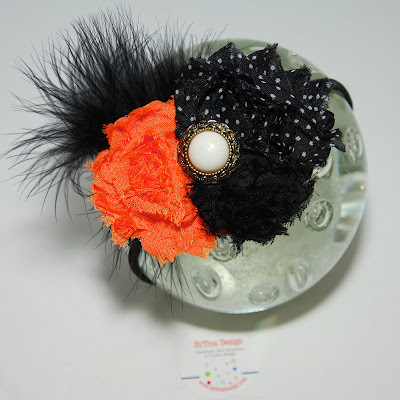 Very Classic Shabby and Chic Frayed Fabric Flowers with black feathers and vintage button on headband. Frayed fabric flower approx. 2 1/2 inches and 1inch. NOTE: Button may vary depending on availability. Would make a beautiful photography prop.